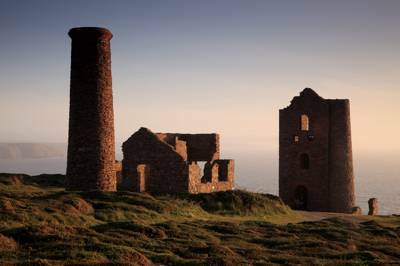 The Geevor Tin Mine is one of the largest preserved mine sites in the UK, located in Pendeen on the picturesque Cornish coast. The mine is housed within 2 acres of abandoned listed buildings, and the museum features a myriad of exhibitions and resources detailing Cornwall’s rich mining history. The Geevor Museum features an underground tour, interactive hard rock museum, gem panning activities and much more. Perfect for intriguing adults and children alike! A great visit for nature lovers and one of Cornwall’s most recognisable landmarks, the Eden Project consists of two large biomes, each made from a series of dome-like structures and housing plants from a number of diverse climates. Home to thousands of different plant species, the largest of the attractions' two biomes simulates a rainforest environment, while the other simulates a Mediterranean climate. 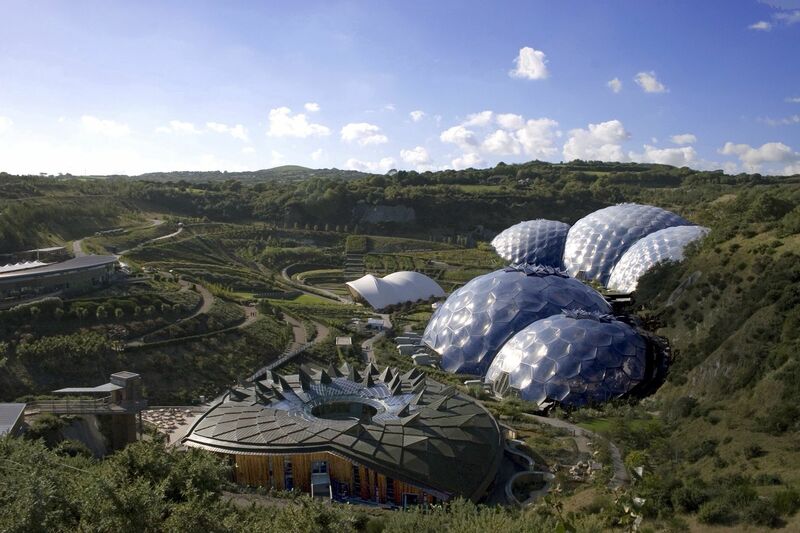 The Eden Project also features an outdoors botanical garden, where many species of plant local to Cornwall and the UK can be found, along with family-friendly fun such as children's trails and a modern café and restaurant. There's also a handy YHA campsite right by the main entrance. Land's End is the most south-westerly point of mainland Britain, and is one Cornwall’s most well-known landmarks. Cycling groups who fancy an adventure are known to frequently pedal all the way from here to John O’ Groats in the very North of Scotland. The 200-foot high granite cliffs allow you to stare across the vast Atlantic and see the Longships Lighthouse and the distant Isles of Scilly. Land’s end has frequently been the subject of much fascination and numerous events take place here all year round. See the Land's End website for details. St. Michael’s Mount is an iconic rocky island whose 12th-century buildings (including a church and castle) are known for their unique and idyllic aesthetics. The legend of Jack the Giant Killer is still told there today – an iconic tale of Cornish folklore. The island is located in Mount’s Bay, a beautiful body of water that can be enjoyed from the mount’s many subtropical gardens. 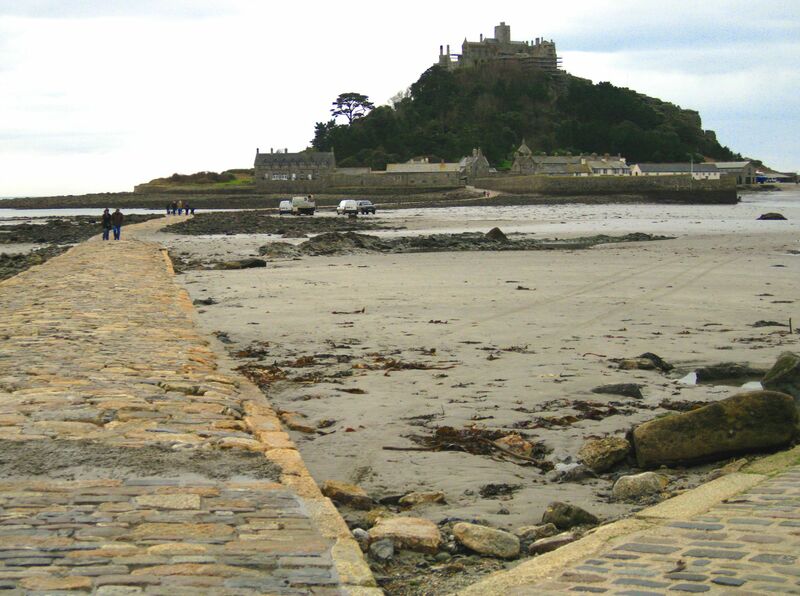 If the tide is out, you can walk across the causeway to the island. Otherwise, boating options are available. Described by The Times as “the garden restoration of the century” these Victorian gardens were rediscovered in 1992 amidst plenty of overgrowth. Lost but rediscovered, the gardens were soon lovingly restored and today offer 200 acres of beautiful exploration for visitors. Walk the 200-year-old winding Victorian paths as you explore Heligan’s mysteries and discover plant-life from all over the world. Giant rhubarbs, banana plantations and intimidating bamboo are but a mere taste of what this attraction has to offer. Here’s one for the walking enthusiasts. 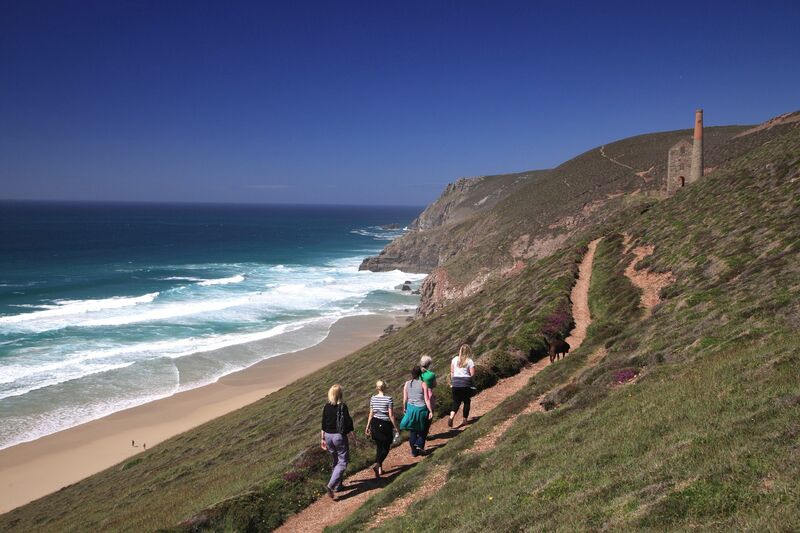 Cornwall’s South West Coast Path extends to over 630 miles (300 of which are in Cornwall) and consists of numerous terrains and conditions for walkers of any calibre. As well as gentle stretches, visitors can expect coastal valleys, sheltered estuaries, bustling harbours, intimate coves, moorlands and beautiful sandy beaches. The South West Coast Path is the main UK trail that frequently makes the list for 'must-see hiking trails around the world' in newspapers and international magazines. Frequently lauded for its alleged connection to King Arthur, Tintagel Castle is a scenic historical castle that straddles both the Cornish mainland and a headland that protrudes into the Celtic Sea. Now looked after by English Heritage, Tintagel’s claim to fame is undoubtedly its associations with the legendary King Arthur. The ruins are, however, thought to date from the Roman era of Britain, meaning that this Cornish castle could easily be over 2,000 years old! This iconic open-air theatre is one of the world’s oldest outdoor theatres. Over 230,000 visitors flock to this Cornish landmark every year, with many coming to admire the architecture and mesmerising Atlantic views rather than the plays themselves! 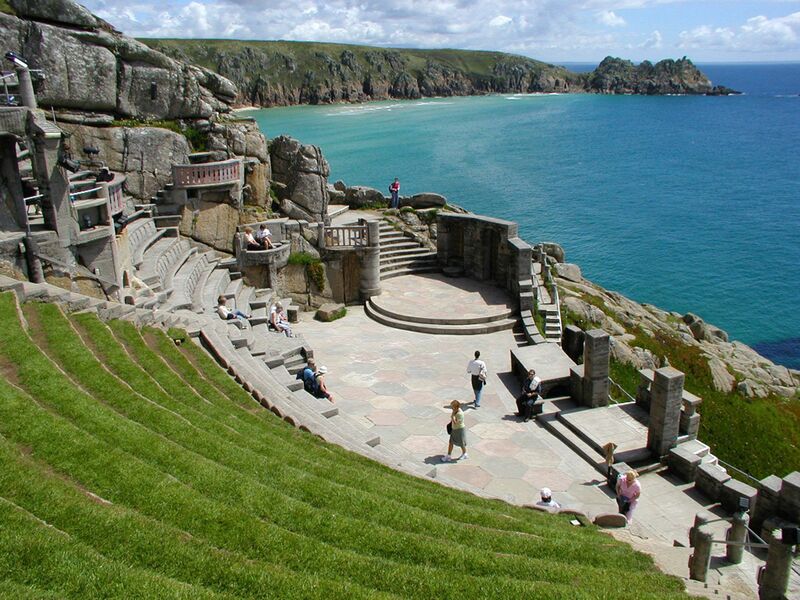 Since its establishment in the 1930s, the Minack Theatre has gradually evolved into a modern and professionally-equipped theatre, staging numerous amateur and professional productions every year in its picturesque setting. Bear in mind, however, that due to its open-air status (and England’s unforgiving winters) the Minack does not stage performances during the winter months. With an agricultural history dating back some 4,000 years, Bodmin Moor is a brilliant and unspoilt section of Cornwall that still shows signs of its prehistoric and medieval remains. This astonishing piece of land is known for its beauty and is the main source of many of Cornwall’s great rivers. Dramatic rock formations tower over expansive plains, as bogs and marshes drain into moorland valleys. In all, it is an absolute treasure trove for hikers or, on shorter routes, for easy family walks. Bodmin Moor also includes “Brown Willy”, the highest and most amusingly named peak in all of Cornwall. National Trust-owned Lanhydrock is a luxurious 17th-century country house that features over 50 magnificent rooms to explore, as well as acres of lavish gardens. This house offers a unique glance into both the opulence of aristocracy and the day-to-day life of servants and maintenance workers, allowing you to explore both the elegant halls and chambers as well as the nurseries and servant’s quarters. Previously occupied by several generations of the Robartes family, the house was refurbished after a fire in 1881, in the high-Victorian style of the time. This gives visitors a rare glimpse into a 17th-century building draped in 19th-century décor.